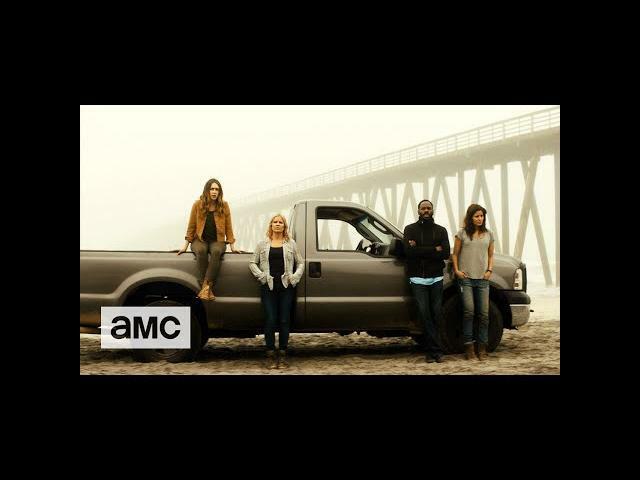 This new trailer released at the San Diego Comic-Con (2016) Hall H panel for the mid-season premiere of AMC"s Fear The Walking Dead Season 2 is packed with awesome clips to dissect. Everyone"s separate story was touched upon and teased very well. Fear The Walking Dead Mid-Season 2 will premiere on August 21, 2016, at 9:00 pm EST. This return will usher in the final eight episodes of this current second season. As "Fear The Walking Dead" embarks on the second half of season two, the Clark, Manawa and Salazar families fracture. The events that took place at the Abigail compound have set all of our heroes adrift. Now they must forge their own paths to survive. "Fear the Walking Dead" is executive produced by showrunner Dave Erickson, Robert Kirkman, Gale Anne Hurd, Greg Nicotero and David Alpert and stars Kim Dickens as Madison, Cliff Curtis as Travis, Frank Dillane as Nick, Alycia Debnam-Carey as Alicia, Ruben Blades as Daniel, Mercedes Mason as Ofelia, Lorenzo James Henrie as Chris, Colman Domingo as Strand and Danay Garcia as Luciana.